Soju is a Korean distilled alcohol (spirit) which was made with rice until 1965, when the South Korean government banned usage of rice for alcohol to alleviate shortages. 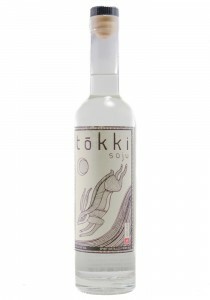 Tokki uses sushi-grade, organic sticky rice sourced from California. It has no additives; just rice, hand-cultivated yeast called "nuruk" (누룩) and reverse-osmosis filtered water.